Jennie @ Clover and Violet requested blocks using her scrappy star tutorial. I get nervous making things for other people. I want it to be perfect!! I hope she likes it!! 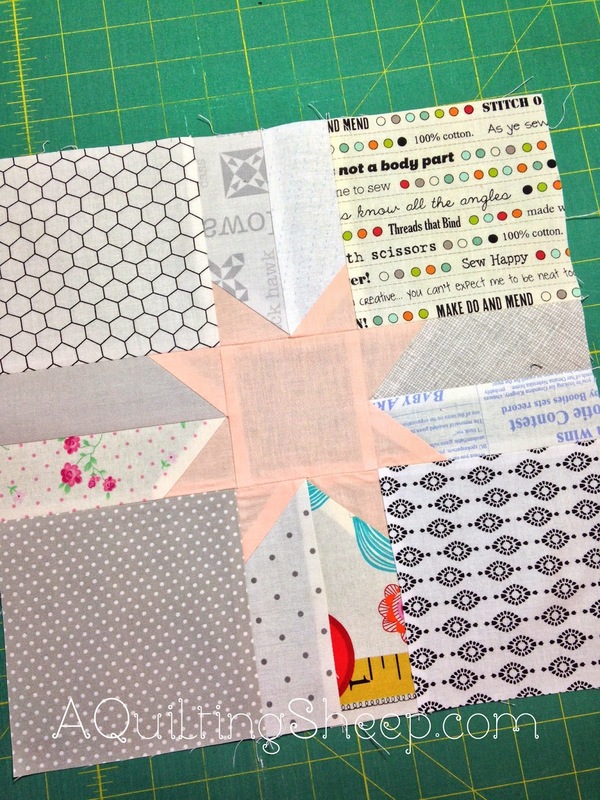 Beautiful Block Amy! Great Job. Trust me, she will love it! So very pretty. Your star is so sweet. Love the fabrics. Perfect? Why would you want to give God some competition? Your block is beautiful and looks accurate enough to me! Just enjoy yourself (which I know you do when you sew) or you'll never get anything done. A wonderful block! Love your fabric selection. That is very cool! !...well done! !...I like all the fabs too!! whats not to like in such a pretty block? love it! It is great. It is "crisp" looking and fantastic. I am sure she loved that block. I sure do.